Kevin Myers [Image: Irish Times]. Look at that! All the strident whining about anti-Semitism having found a home on the Left has just been shattered by a puff of reality. No doubt it will be back as soon as its proponents have recovered, but Kevin Myers’s article in the Irish edition of the Sunday Times really is the kind of showstopper that could shut down the whole argument altogether. This is a right-wing Holocaust denier, writing stereotypical fact-free anti-Semitic comments, in a Conservative-supporting newspaper run by Rupert Murdoch. There is no ambiguity about it – no room for argument, as there has been in my own case, or those of Ken Livingstone, Jackie Walker or any of the other Lefties who have been maligned by (right-wing) crusaders claiming to be fighting anti-Semitism. The article, headlined Sorry ladies, equal pay has to be earned, states: “I note that two of the best-paid women presenters in the BBC – Claudia Winkleman and Vanessa Feltz, with whose, no doubt, sterling work I am tragically unacquainted – are Jewish. Good for them. While it may be true that Ms Winkleman and Ms Feltz are Jewish, and highly-paid (these facts being, respectively, public knowledge and revealed by the BBC recently), the remaining assertions have no basis in reality, other than in the fevered brains of anti-Semites like Mr Myers. The claim that Jews demand higher pay than their worth is a pillar of anti-Semitic belief. The inference that they have done so, in this instance, for that reason, is at best a distortion of the facts and at worst an outright lie. Oh, and the swipe at women in general – claiming that they may deserve to be lower-paid than men – is just plain, old-fashioned mysogyny. Apparently the article is full of it, but it’s behind a paywall. I’m having to settle for pulling quotes from the Wikipedia article about this controversy, such as: “Is it because men are more charismatic performers? Because they work harder? Because they are more driven? Possibly a bit of each”. He also claimed men may be paid more because they “work harder, get sick less frequently and seldom get pregnant”. Unfortunately for the fight against anti-Semitism, the article attracted the attention of the so-called Campaign Against Antisemitism, an organisation that more commonly targets people who make legitimate criticism of the state of Israel and smears them with accusations that they hate Jews. I have experienced this scurrilous and disreputable tactic firsthand. It also handles some cases of actual anti-Semitism, such as this. I’ll not comment on whether this is because the transgression is so obvious it can’t be ignored. The CAA demanded an investigation and apology from the Irish Sunday Times – which would be fine, if the tactics employed by Mr Myers were not so similar to those employed by that organisation. I’m sure you all remember the CAA’s article about me, in which it was stated: “He writes prolifically on issues relating to Zionism and Jews and is an ardent defender of members of the Labour Party who are suspended or expelled over allegations of antisemitism. He has defended Jackie Walker, particularly for her comments that Jews were the chief financiers of the the slave trade. He endorses the views and cross-posts the writing of Tony Greenstein. “Concerning the late Tam Dalyell’s comment that Tony Blair may have been “unduly influenced…by a cabal of Jewish advisers”, Mr Sivier suggests that this may have been “entirely justified”. He has defended some of the antisemitic tweets of Naz Shah, despite that MP accepting that what she had said was indeed antisemitic. He has asserted that the Socialist Workers’ Party’s omission of Jews from a list of victims of the Holocaust may have been “politically correct” and defended NUS President Malia Bouattia’s reference to the “Zionist-led media”. He regularly accuses Jews and others who point to antisemitism in his Party of acting in bad faith. All of the above claims are either lies or distortions, based on half-truths. There is not a single accurate fact there at all. I wrote an article that addressed and dismissed all the issues raised by the CAA, and I strongly advise you to read it for yourself. 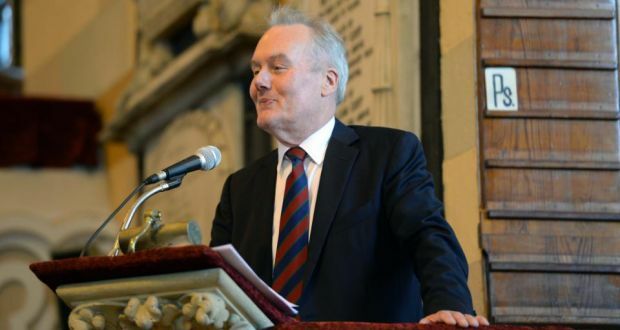 It is sad that such hypocrites put themselves forward as defenders and representatives of Jewish people, and cynical that they would exploit an obvious case of anti-Semitism like that of Kevin Myers to legitimise their own unacceptable – and similar – behaviour. We have Nazis in the White House. Homophobes propping up the Government. And y'all are surprised Kevin Myers has a national platform? If the Irish Sunday Times feels so embarrassed about the response that they not only issued an apology for the article, but actually sacked the arseclown who wrote it, it does beg the question of why they allowed such rancid tripe to get past the editor in the first place, doesn’t it?